The original oil painting is painted on high quality canvas board, 12″x9″. My palette knife impasto painting technique creates a lively textured surface, with really thick paint. The original oil painting is no longer available. 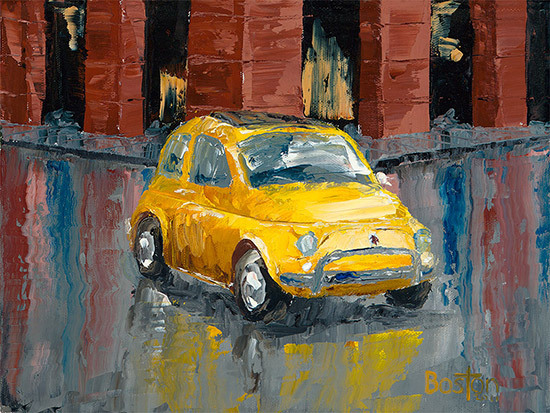 I was in Italy a few years back, and loved seeing the old Fiats as they puttered by in Florence. Being a car guy, I just had to capture one of these scenes at an intersection there in town. High-quality giclée prints are available. Please contact the artist.